Beekeeping is a popular hobby in Los Angeles, but not a legal one -- well, not at the moment. On Wednesday, the L.A. city council voted unanimously to begin a process to legalize beekeeping within city limits. Other cities across the country have made similar moves in the past few years to combat colony collapse disorder, which is killing off bees in droves and raising environmental concerns. Killer bees fully colonized Los Angeles County by 1999 and have almost completely pushed out the existing wild bee population. 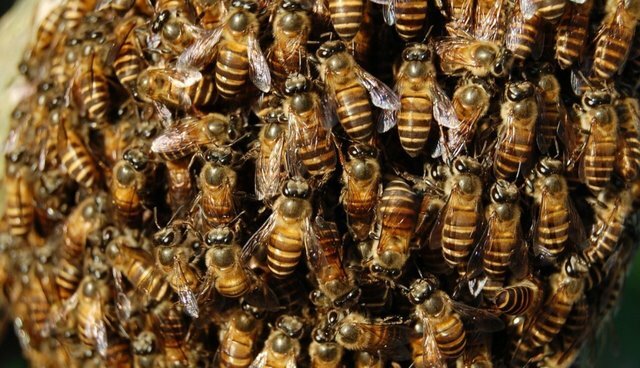 The bees can attack when an intruder gets closer than 100 feet, can chase a person up to a half-mile and will remain aggressive up to an hour after an attack, according to the county. Feral bees in Los Angeles do have some African genes, they say, but the danger has been diluted from years of interbreeding with local, non-Africanized bees. The resulting hybrid hives can be managed easily with proper training, common sense about hive placement and good communication with neighbors. Rob McFarland, who keeps bees on his Hollywood rooftop, told the AP that Africanized bees are not only a hardier species, but a necessity to maintain any bee population. "We need to preserve what's clearly a superior bee," McFarland said. "They're the ones that are surviving... they're a blessing in disguise."